Well, Ladies and Gentlemen, it seems that Mother Nature and Jack Frost have a lot to sort out these days. Just as things start to appear green and spring-like again, old man Jack decides to sprinkle just a little bit of his seasonal specialty across the mountain. Not too much, not too little, but just enough to give the ever so subtle impression that winter is looming. No sooner, the old maid decides to make her rounds and sweep-up in an attempt to keep her grip on the lush, spring-like forest. A slight exaggeration, maybe? But, really, When will this power struggle be resolved?? ?I’ve stopped thinking about snow at this point, we can’t even seem to get two consecutive days of temperatures conducive to ice formation. For example, last Sunday, I spent most of a frigid, got-to-keep-moving day in Tuckerman Ravine on and around The Open Book. The ice was in, it was young, it was soft, and it was promising. I returned with a partner on Monday hoping to gain access to the steeper ice on the headwall in an attempt to finally enjoy a day of true alpine ice in Tuckerman Ravine. In a normal year, the ice season in Tux is somewhat short-lived. There is usually only a few days of high quality, fun, curtain-to-curtain ice climbing in Tux before it is all buried by snow. Timing is everything and I’ve been determined not to miss the choose-your-own-pillar adventure in Tux this season. I’ve been ready and waiting for those magical few days. While it’s normally come and gone by now, still I wait. Having enjoyed the coldest day of this Fall on Sunday, I was able to set my first V-Thread of the season and rappel down to the base of the Open Book. Happy to return to the cabin, I set fire to the wood stove and, much to my disappointment, watched the temperature OUTSIDE exceed the freezing mark. Returning to Tux on Monday morning in what was very near T-Shirt weather, my climbing partner and I decided it wasn’t even worth setting screws. We enjoyed the thickest ice down low. Nearly bomber only a dozen hours earlier, it was now significantly thinner, detaching, with much more running water behind it. We climbed high and fast, hoping to gain access to the large ice formations in the center of the Headwall. However, the snow quickly turned to mashed potatoes, with tear drop, point releases of snow above the Sluice (south facing aspect), and abundant ice fall, we decided to bail onto the Tuckerman Ravine Trail high-up on the headwall. Making the most of our day, we rock-hopped up and over the Alpine Garden and were able to enjoy some astounding views while standing on the summit of Mount Washington. Warm and wind-less, it was Mid-December in the high-peaks of New Hampshire and layers were coming off like it was a day to work on that good ol’ New England Farmers-Tan. Thanks to a group from the Dartmouth Outing Club, what would have been a rather mundane and somewhat depressingly warm summit day, proved to be very worthwhile and memorable, indeed! On Tuesday, it was time to check out conditions in Huntington Ravine. I wish I had better news to report, but the ravine is looking rather summer like. While the approach and top-out resemble early fall conditions, there is some decent ice in Odell’s. If nothing more, at least you’ll stay mostly dry. I can’t say as much for Pinnacle, though it was been climbed more then a few times in the past week. Yale slabs are looking sketchy. As of yesterday, I could envision a catastrophic collapse of the entire slab. I’m not saying that is likely, but it is something to think about. In any case, there isn’t much ice above the slab. Harvard Bulge remains tempting but equally suspect. I did confirm a party climbed it on Monday, but it is definitely sun-baked, metamorphosized ice at this point. As for the north side of the Ravine, from the top of Odell’s I could see that there is some continuous ice in the middle of Damnation and North gullies, but it is bone dry leading up to and above these sections. Not really making them attractive objectives at this point. Snow and Ice is coming…. I don’t mean to fill your inbox with Doom and Gloom. I am actually very excited for the impending season. However late, Winter will arrive soon and Harvard Cabin is the place to be. The cabin was full inside this past weekend with and additional 6 teams camped outside! As always, Harvard Cabin provided a perfect setting for climbers to gather and celebrate a new season. This past weekend stands to prove that there is ice to be climbed. That being said, a trip to the summit and a night at Harvard Cabin isn’t too tall a price to pay even if ideal conditions do not prevail. There isn’t any ice in the valley and it’s too cold and wet for most rock climbing, so you might as well take the gear for a walk and spend a day or two on the Rock Pile! I’d love to see you! We are expecting some snow accumulation over the next couple of days. The mercury isn’t going to respond like we’d all like to see, but it is going to be quite windy over the weekend. The forecast is calling for clear and windy conditions. This will definitely transport snow, bringing you anxious skiers closer to some of the first turns on the rock-pile this season. I should mention there are some nice patches of snow high up on the summit cone, just below the fuel farm, in what is known as the Eastern Snow Fields. The snow has remained soft and fluffy since it fell last week. I did sight a skier in the snow fields on Monday. I’m fairly certain it was a Mount Washington Observatory employee as it would be a long walk for a few linked turns, but if you are feeling desperate, they’d be quality, nonetheless. A Word from the USFS Snow Rangers…. The Snow Rangers have returned to the higher elevations! No doubt, they’ve made good use of their time giving the lack of winter conditions on the rock-pile this December. The post-Irene forest has kept the Rangers very busy in other parts of the White Mountain National Forest. While the Rangers are winter fanatics, they are also skilled foresters and administrators. Their expertise is wide and varied and their value and contributions extend far beyond snow-filled ravines. While they have been busy elsewere, they certainly kept on eye on conditions and activity in the Cutler River Drainage. I was excited to learn that there were Rangers in the ravines on Tuesday. What better indication that the mountain is changing seasons, if only little by little. Following their assessment of current conditions on Tuesday, the Forest Service hasn’t posted an sort of advisory yet, but they Rangers shared their findings in a conditions update available at http://www.mountwashingtonavalanchecenter.org. I would encourage everyone to take a few minutes to read this update and be sure to get dialed into some of the great and useful Social Media Outlets that the Forest Service/Snow Rangers will be utilizing this season! The Mount Washington Valley Ice Fest 2012 promotional materials have gone to press! If you look closely, included in the amazing list of sponsors, you’ll see the Harvard Mountaineering Club Logo. As I mentioned last week, the club is proud to be among a group of non-profits helping to sponsor Ice Fest this year. Our goal is to help promote safety in and around the Ravines by making sure that all climbers, newbies and veterans, are aware of the cabins location, function, and purpose. It is a great resource for all mountain travelers, not only guests. We are hoping to overcome any confusion about the cabin or misgivings that currently exist. Ice Fest is going to be a blast and HMC is excited to be a part of it! If you haven’t seen the poster, you can check it out by Clicking Here! You’ll also find recent photos from the Ravines featuring Ragged Mountain Equipment Gear Expert and Alpine Super Model, Max Lurie. That’s all for now folks. Wish I had more exciting news. In any event, I’m hoping for another crowded weekend at the cabin. Stay motivated people, be patient, and stay safe….it’s coming!!! [email protected]NOTE – Harvard Cabin is not affiliated with the Appalachian Mountain Club. 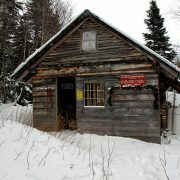 Harvard Cabin is maintained by Harvard Mountaineering Club for use by the general public. 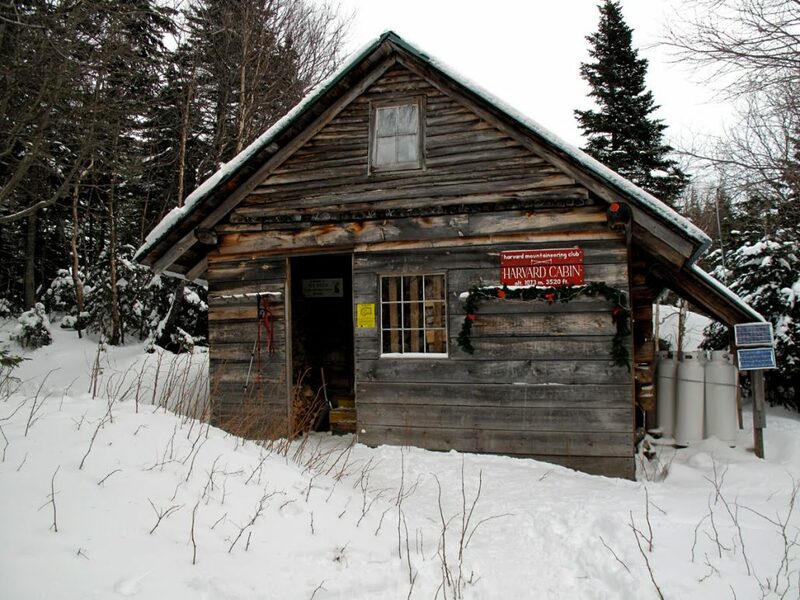 The cabin is operated under a special-use permit granted by the USDA Forest Service. Cabin space and tent-sites are available on a first-come, first-serve basis between December 1st and April 1st each year. Specific instructions for staying at the cabin can be found online at http://www.HarvardMountaineering.org. Small Victories Winter Is Here!